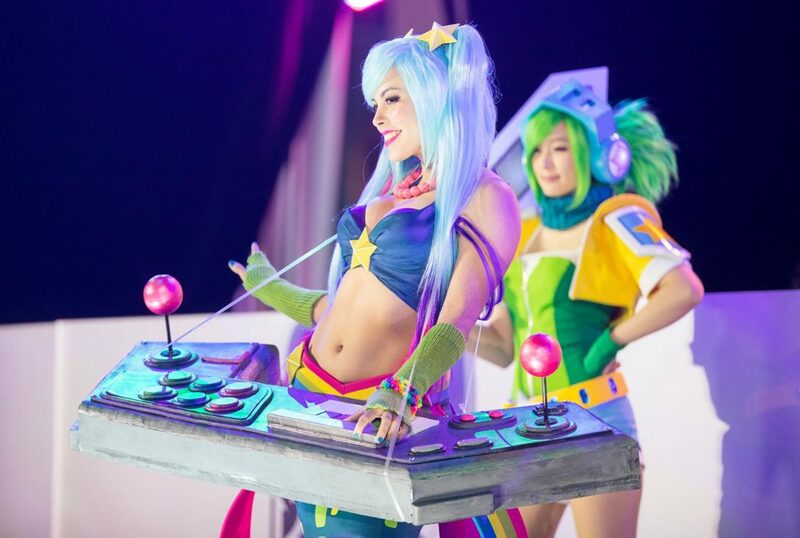 Featured “League of Legends” Cosplay – Arcade Sona and Arcade Riven by Nadyasonika and Doremi Cosplayer. Photo by Colin Young-Wolff Photography. It must be hard for you to understand why on earth anyone would sit in front of a screen and watch another person over the internet sitting in front of a screen playing video games. But how is that any different from watching someone playing sports? How is it different from watching talent competitions like American Idol or America’s Got Talent? The gaming industry has cultivated technological and cultural changes in a variety of ways such as virtual reality, analytics, and job training. The prize pool for The International, a DOTA 2 tournament, has jumped from $2 million in 2011 to over $20 million in 2016. Even ESPN is taking esports seriously as they try to regain younger audiences, who can be found watching League of Legends and DOTA 2 and CounterStrike streams. In 2016, more than 20,000 watched the League of Legends World Championships at the Los Angeles Staples Center arena. 10 million people watch live-streams on Twitch. ESPN has lost 12 million views over the last 5 years as consumers cut the cord. Over 2.2 million unique monthly broadcasters are on the other side of the screen, playing games with people around the world watching via the Internet. In an interview with LiquidLegends, OpTic Gaming manager Romain Bigeard states that the average salary in the North American League Championship Series is over $320,000 in 2018. Through a survey, ESPN found last year’s salaries averaged $105,000 which contrasts Bigeard claim that last year’s average salaries were closer to $150,000. Regardless, salaries have at least doubled in the last year for players in the NA LCS. Without a doubt, these growing numbers can be attributed to franchising that caused a shift in the structure of the league. To a lesser extent, the funding poured in by venture capital contributed to steady climbs in player salaries before franchising came into play. The path to becoming more like traditional, established sports league for esports is still long. Many players got their start by streaming and playing in small, regional tournaments, earning money more akin to hour freelancers do, rather than salaried employees. As a result, the pay for esports pros is greatly unknown. But as this industry grows, transparency in salary structure should emerge.